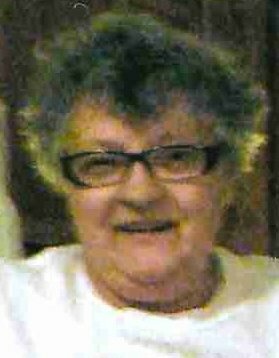 Constance M. ‘Connie’ Larson, age 75, of Wabasha, died Wednesday, December 5, 2018 at St. Elizabeth’s Health Care Center in Wabasha. She was born June 22, 1943 in Owatonna, the daughter of Milford and Frances (Loushine) Knutson. She worked at E.F. Johnson in Waseca and retired as an over the road truck driver. She was a member of Anchor Point Church in Wabasha. Connie is survived by daughter, Mary Haupt, Elysian, MN; granddaughter, Samantha Haupt, Elysian, MN; brothers, Richard Knutson (Phyllis Harlicker), Owatonna, MN, Robert Knutson (Linda Schafer), Faribault, MN, Duane (Kathy) Knutson, Owatonna, MN; nieces and nephews. She was preceded in death by her son, Carl Hoffman, her parents, and her sister, Janet Knutson. A memorial service will be held on Monday, December 10, 2018 at 2:00pm in the community room at Maple Grove Apartments, 730 W. 6th St., Wabasha, MN 55981. Officiating will be Pastors Jamie Olcott and Tom Schintz.